lowii is the Latin name for carnivorous plant and also for orchid. These plants grow profusely on the island of Borneo. 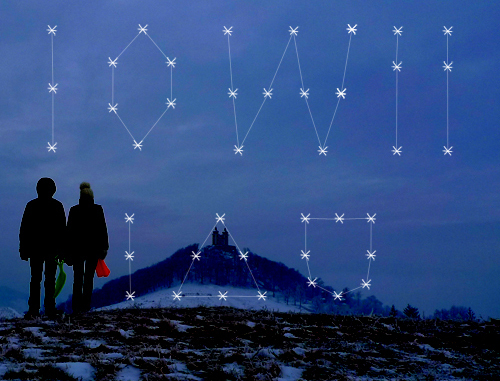 lowii is also the new audio-visual project from Jonatán Pastirčák aka Pjoni, painter Katarína Sido, and programmer Igor Rjabinin who technologically transforms live painting into light projections of coordinates and constellation. It is live animation that proceeds from the transmission of a painting into midi signal that thus also influence the concert audio component. It is based on both ambient and hustle electronics and both modified as well as classic sounds of violoncello. The contrast is important topic here. lowii connects melancholic and nostalgic sound areas with echoes of hard beats and elements of sound destruction. One of the main characteristics here is the use of image and sound as mutually influencing components.